When the brain does not get enough blood and oxygen supplied, its cells begin to perish as they become dangerously lacking in nutrients. This is the catalyst for a stroke, which occurs one of two ways: a) a blood vessel becomes obstructed (usually by plaque from cholesterol or blood clots), which is called an ischaemic stroke; or b) a blood vessel ruptures or leaks, called a haemorrhagic stroke. A stroke is a serious and life-threatening event which can result in complications in the person’s general functioning, including driving skills. 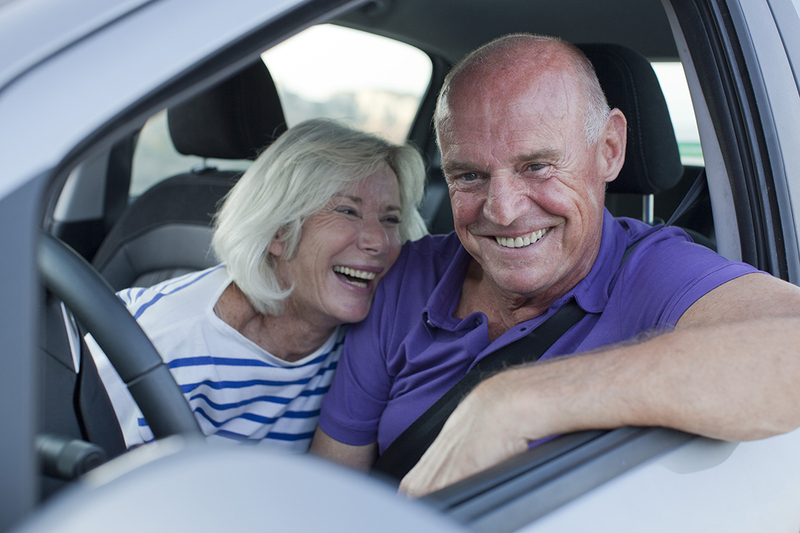 How can a stroke affect driving skills? The ability to drive is very important to many people, as it enables a person to a participate in work, personal, leisure and social events. As a stroke is a severe medical condition that often has some implications for driving, people are often advised by their doctor/specialist not to drive for some time after. Your treating doctor will specify what this timeframe is to be (usually a few weeks), however they must also inform the RMS of the occurrence of the stroke. While your doctor will notify the RMS of your stroke, it must be noted that drivers do have a personal responsibility to warn the RMS of any medical condition that may impact on driving. If the stroke was minor and has not resulted in any further complications, your doctor can give you medical clearance to return to driving. However, if the doctor has concerns about your condition, they will advise that you will need to undergo an occupational therapy driving assessment. Occupational therapy (OT) is a stream of allied health that concentrates on enhancing a person’s functioning and independence. An OT who performs driving assessments is called a driver trained occupational therapist. Off-road section: The OT assesses your visual, cognitive and physical condition, looking for any crucial signs of deficits that may affect your driving. On-road section: You drive the driving instructor’s car (as it is dual-controlled for braking) in all traffic settings for one hour. The instructor is a rehabilitation driving instructor who is specialized in working with drivers with medical conditions. The assessment is focused on evaluating the effects (if any) the stroke has had on your driving performance. The OT and driving instructor largely disregard small errors made, however if the driving instructor needs to physically mediate (by applying the emergency brake or taking control of the steering wheel), it is regarded as a crucial error and constitutes a ‘fail’ result. The stroke has not affected your driving capacity and the OT will recommend that you return to driving. The stroke has affected your ability to drive to RMS standards and the OT will recommend that your licence is cancelled. In this instance, the OT is of the clinical opinion that your condition will not improve and cannot be aided by driving lessons. The stroke has affected your driving ability on some level and some errors were made during the assessment, however the OT believes that your driving conduct may be improved with driving lessons. Examples of these situations are when the OT has identified a physical limitation due to the stroke, and the driver requires modifications to drive safely. The driver will need lessons to become proficient using the modifications. Another example is if the person made several (minor) errors during the test and the OT recommends a few lessons to rectify this.